These archaic giants of the water face numerous threats to their survival. Despite surviving on Earth for millions of years, sturgeon are now vulnerable to overfishing and interference in their natural habitat. According to IUCN, sturgeon are "more critically endangered than any other group of species". Some species of sturgeon are harvested for their roe, which is made into caviar. 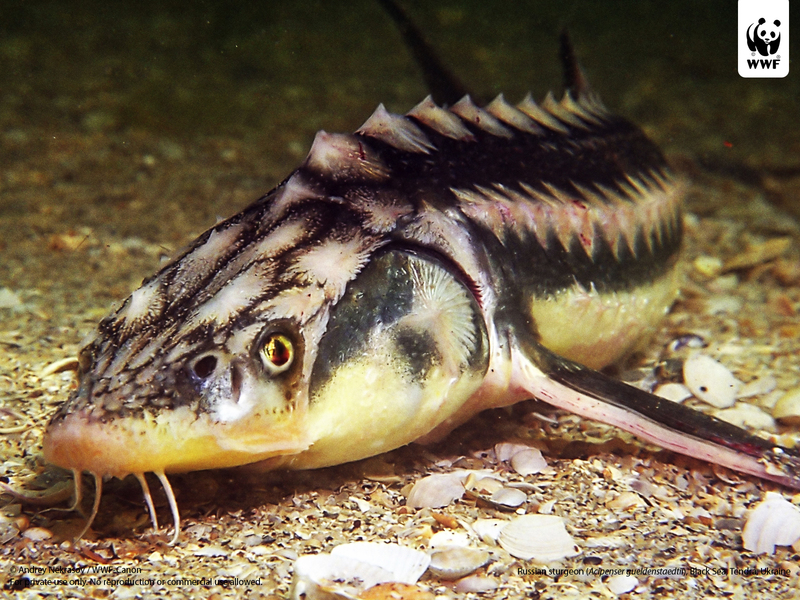 The late sexual maturity of sturgeon (6-25 years) makes them more vulnerable to overfishing. It is estimated that the number of sturgeon in major basins has declined by 70% over the last century. 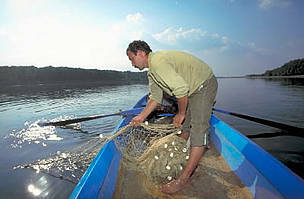 During the 1990s, the total catch was dramatically increased by unprecedented illegal harvest. Poaching activity in the Volga-Caspian basin alone is estimated to be 10-12 times over the legal limits. Further problems are caused by water pollution, damming, destruction and fragmentation of natural watercourses and habitats which affects migration routes and feeding and breeding grounds. What are the main threats to sturgeon? Regulation of river flow and over-fishing are the major reasons for sturgeon population declines over the 20th century. 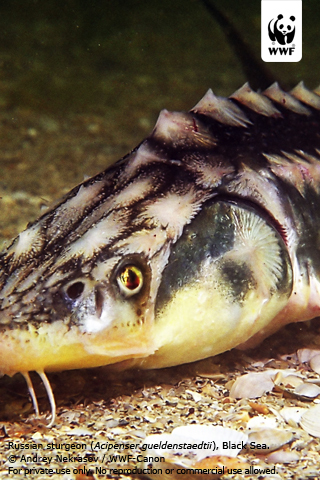 Sturgeon are vulnerable to over-fishing because of their late sexual maturity (6-25 years). During the 1990s the total catch was dramatically increased by unprecedented illegal harvest. Poaching activity in the Volga-Caspian basin alone is estimated as 10-12 times that of legal catch. The same situation occurs on the Amur River. Caviar is the unfertilised eggs of sturgeons. For many gourmets, caviar, dubbed ‘black pearls’, is a food delicacy without parallel. The three main traded species of sturgeon produce distinctive caviar: Beluga, Osietra (Russian sturgeon) and Sevruga (stellate sturgeon). The colour and size of the caviar are influenced by the species and the stage of maturity of the roe. The most sought after and expensive caviar is from beluga, a gigantic fish that can weigh as much as 1,200 kg, measure five metres and live for 100 years. Today, Iran and Russia are the main exporters of caviar, about 80% of which is taken from three species of sturgeon in the Caspian Sea: Russian sturgeon (around 20% of the market), stellate sturgeon (28%) and Persian sturgeon (29%). In 1998 international legal trade totalled over 220 tonnes of caviar. For the year 2002 all countries announced total export quotas for caviar to the Convention on International Trade in Endangered Species of Flora and Fauna (CITES) at a level of 193.6 tonnes. Of these Iran (39.6%), the Russian Federation (28.8%) and Kazakhstan (16%) were the largest caviar exporters with Switzerland (24%), France (19%) and Germany (17%) the biggest importers. While legal quotas may be sustainable, they need to be set recognising the high level of illegal harvest and trade. 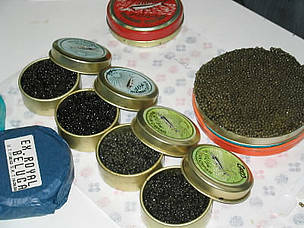 During the period 1998 and part of 1999, eight CITES Parties seized over 20 tonnes of caviar, indicating a substantial illegal trade. 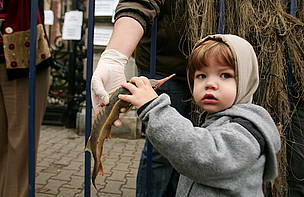 It is believed that a significant amount of all sturgeon caught in the Caspian Sea is traded illegally. Caviar is traded domestically as well as internationally and there is some grounds for thinking domestic markets are large and poorly controlled. Due to the extensive international trade in sturgeon products and its actual and potential negative impacts on sturgeon populations, two species of sturgeon (Acipenser sturio and A. brevirostrum) were listed in Appendix I of CITES in 1975. 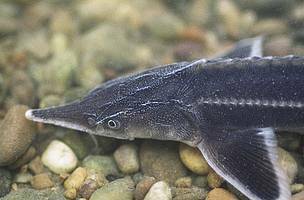 All other species of sturgeon have been listed in Appendix II since 1997. In addition to the impacts of over-fishing on this biologically vulnerable species, river pollution and especially pollution of spawning grounds may seriously impact on sturgeon populations. Russian scientists have found deformities in eggs, and have observed tumours and liver, thyroid and muscular disease in adults. This may have implications for the species’ survival and the quality of caviar, and highlights the need for pollution control. A further important reason for decline of sturgeon populations is destruction of migration routes and spawning grounds, due to massive dam construction along major breeding rivers. As a result, reproduction of some sturgeon species is now highly dependent on breeding in hatcheries. Currently around 90% of recruitment to the beluga population depends on artificial breeding. WWF is engaged in conservation activities on the ground in different regions and countries. 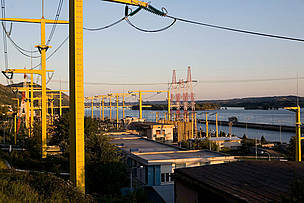 Romania (Romanian), Russia and Amur river) (English), and Ukraine (Ukranian). Danube River Basin, with a Special Project on combatting overexploitation of sturgeons in the Danube. Restoring more natural flows of St. John River in Canada. A government decision to overturn a ten-year ban on the fishing of wild sturgeon in the Danube River basin drew protests, led by WWF and a contingent of local NGOs.